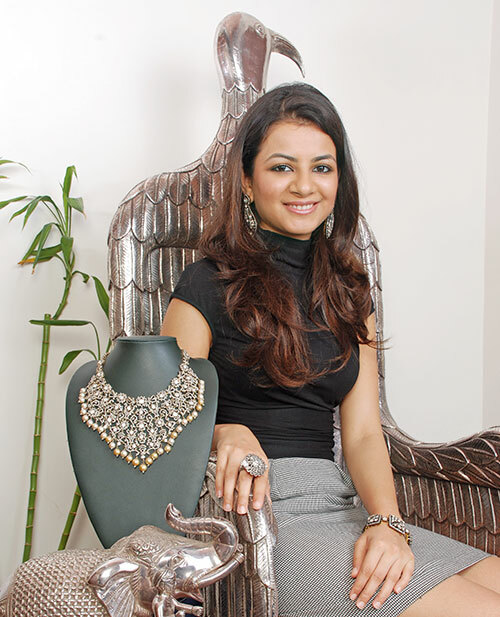 Globetrotting is a way of life for Akanksha Arora, CEO, Amrapali Jewels, who spends her summers in London, winters in Jaipur, squeezes in two trips to Hong Kong and New York annually, and also travels to Chennai, Sharjah and Spain where most recently she set up her brand’s first franchise in the country. Her collections adorn the likes of Angelina Jolie, Lucy Liu and Drew Barrymore. “I live out of my suitcase,” she says, over the phone from London as she readies to visit Mumbai once again. Aakanksha loves surveying people from various cultures. What celebrities wear does not matter to most people and “they have much simpler tastes abroad,” she observes. On her return to her home in Jaipur, she revitalises her creative juices and also champions the plight of under-privileged children by supporting causes close to her heart. It’s her way of giving back to a culture that has inspired her so.